The January/February 2015 Knowledge Quest theme is Evidence-Based Practice. Just like other educators, school librarians must demonstrate evidence-based practice in their school library programs. This issue investigates how school librarians can measure their effect on student learning objectives. 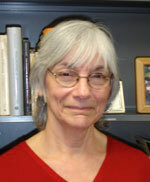 Carol A. Gordon, retired associate professor at Rutgers University and school librarian, founded Gordon Consulting in Centerville, Massachusetts. She is a member of the National Advisory Board, Granite State College of the University of New Hampshire. She’s also a member of the New England School Library Association advisory board and the Credo advisory board. Her recent articles include “How Library and ICT Professionals Conceptualize and Operationalize Information Seeking Instruction in Web-Based Tutorials” in the Journal of Documentation (in press); “The Convergence of Performance and Program Assessment: A Multi-Dimensional Action Research Model for Libraries” presented at Libraries in the Digital Age, Zadar, Croatia; “Ending One Hundred Years of Solitude: Stories from the Research,” “The Next Generation of School Library,” and “Innovation Spaces in School Libraries: A Sustainable Model?” in Synergy; “A Literacy Lesson from China: What an Exuberant Culture of Reading Can Teach Us” in School Library Journal; and “Dewey Do or Dewey Don’t? A Sign of the Times” in Knowledge Quest. A member of AASL, she is currently serving on the School Library Research editorial board. I am seeking book-making ideas for pre-schoolers.